Stamps are not always produced perfectly. When a stamp varies in one or more ways from the intended norm, it falls into the category called EFOs or Errors, Freaks and Oddities. Errors are complete and major production mistakes, which are repeatable. 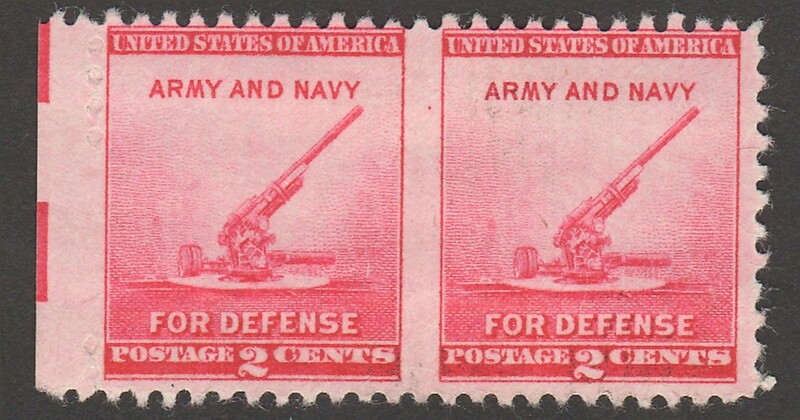 For example, a stamp without any intended perforations, an invert, or a color that is completely missing is an error..
Freaks are partial production mistakes caused by some unusual circumstances and not likely to be exactly repeatable. For example, paper creases, misperforations, color shifts, and partially missing colors are freaks. Errors will sometimes be found within freak pieces. For example, a paper fold (freak) may result in a miscut booklet pane containing a pair of stamps which are imperforate between (error). Or perhaps an ink fountain on a press runs dry, depositing a minimal amount of ink on one row of stamps (freaks) and none on the adjoining row (errors). Oddities are a broad category of unusual, often consistent, and curious variations that may arise from a variety of sources. For example, plate varieties, private perforations, design errors, and pre-first-day cancels are oddities. 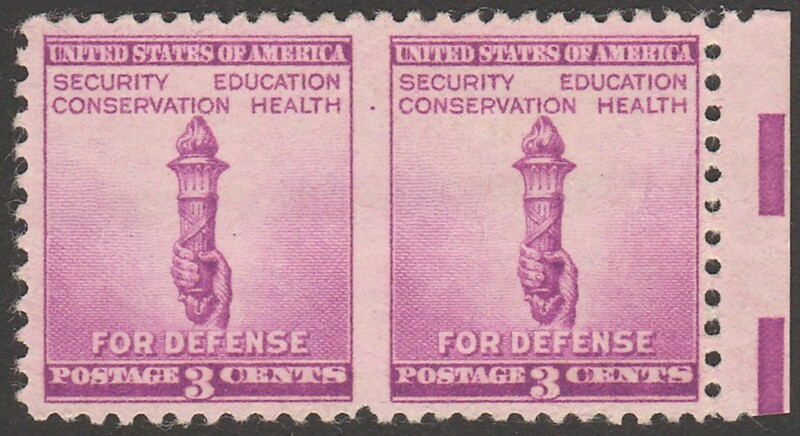 The above information is from page 543-544 in "Encyclopedia of United States Stamps and Stamp Collecting" by Rodney A. Juell and Steven J. Rod, Editors. Copyright 2006. If you dont have this book, I would highly recommend it. 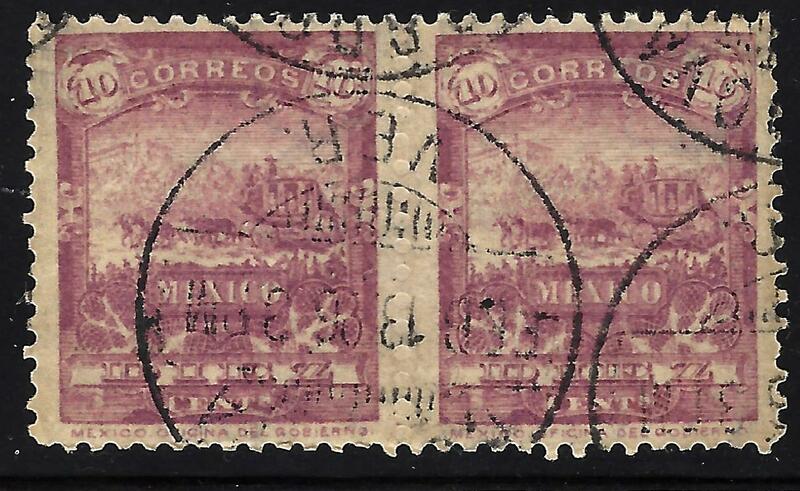 Here is a stamp that I identified as a Mexico Scott# 248. I first glance, it looks like a pair of stamps, imperforate in between them. Under magnification, you can see the blind perforations. Blind Perforations are an impression made by perforating pins in a location where perforations were intended, but from which chads were not removed. These interesting varieties are not imperforate stamps. Blind perforations are considered freaks, not errors. If anyone has any EFOs that they would like to share, please do. Thanks! Here is another freak that I posted a few years back and will post it here. Its a Canada Scott# 996 with the "el" missing form the word Nickel. 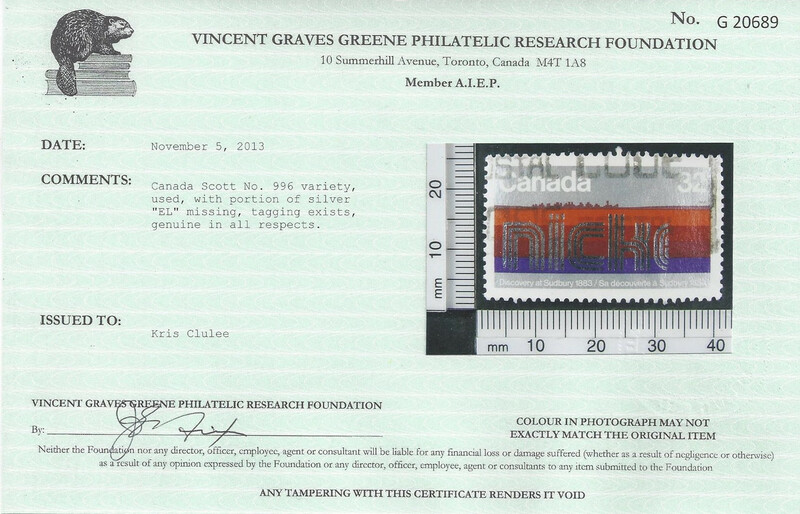 I sent this one off to Vincent Graves Greene Philatelic Research Foundation in Toronto, Canada to get it certified. I sold most of my errors (at least the higher value ones) prior to the turn of the century so I could focus on my worldwide collection (not sure that makes sense, "focus on worldwide"). I kept a few of the lower value errors. I'll see if I can dig them up when I get home. Before I forget to post this, also check out EFOs of Canada thread by JohnnyO at This is a Study on the Errors, Oddities, and Freaks Stamps. I did find one stockbook that contained some of the EFOs I kept from my original collection and also some I found/acquired since then. Unfortunately, I sold my major EFOs long before I got a scanner, so no pics of those. 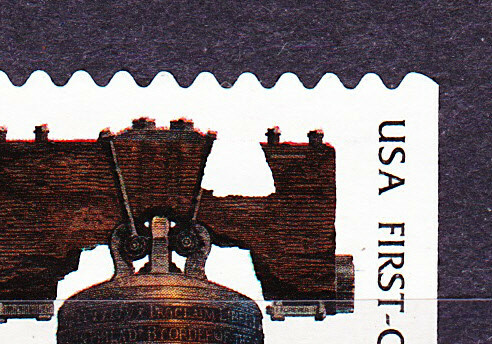 The first one below show an imperforate between error -- where the perforation between stamps is completely missing. Blind or partially missing perforations are not particularly rare during the wartime issues, as damaged wheels/pins weren't always replaced/repaired immediately. However, a completely imperforate row/column is considered a premium item. In the pair below, you can see the stamps are completely imperforate between, but you can also see the blind perfs and missing perfs at the right selvedge. You will notice a puncture (internal tear) at the top right where a few perforations are missing. Sometimes the damaged pins would begin to tear into the paper before they completely missed the paper after breaking/wearing. This normally reduces the value of the error, but it's interesting to me; so I kept a few, including the next couple that I will post later. US #899b(16Oct1940), horizontal pair with imperforate between error, missing/blind perforations at right selvedge, puncture damage at top right selvedge. Unfortunately this one is a little dirty, but it is hinged with original gum on back (i.e., unused). US #900b(16Oct1940), horizontal pair with imperforate between error, missing/blind perforations at left selvedge. Here is another example with puncture at lower right selvedge. US #901b(16Oct1940), horizontal pair with imperforate between error, missing/blind perforations at right selvedge, puncture damage at botoom right selvedge. Same as above, except with clean perforations at the right selvedge. 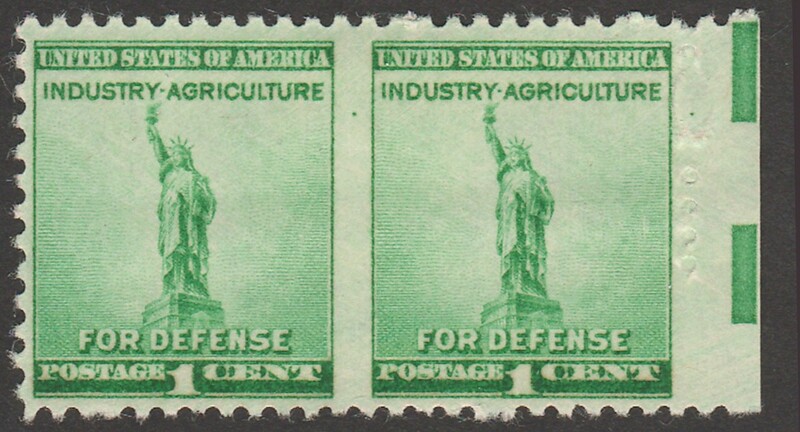 US #901b(16Oct1940), horizontal pair with imperforate between error. 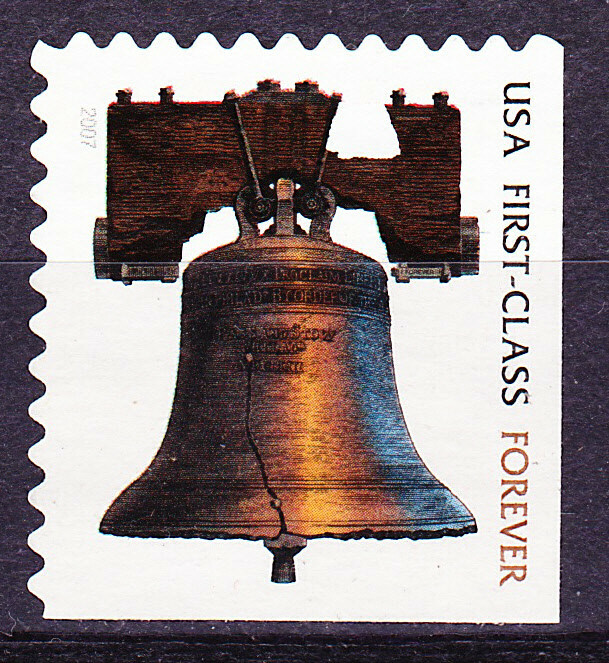 My entry is this printing freak of the US Liberty Bell forever stamp. I initially thought it was a scuff and paper was missing from the surface of the stamps but this is not the case. It is basically a big white patch. 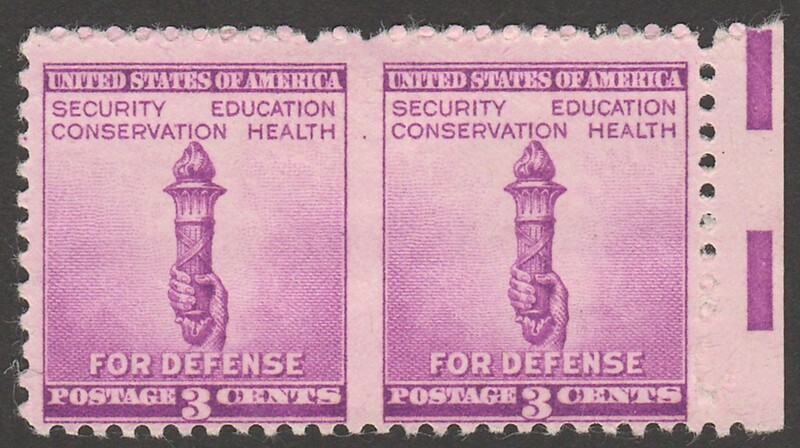 I have often wondered about the value of this stamp and whether it is something I should get certified. Any suggestions or advice would be appreciated. Note that the horizontal line across the stamp is the line of the plastic sleeve on the stock card. Based on the shape/character of your "white" patch, it looks like debris/gunk that got in the way of the inking. If so, this would be considered a printing freak. Looks like you already examined it with a magnifier. Will need to view it with a filtered long-wavelength UV lamp to check for discontinuities in the paper "glow" (there shouldn't be any). In your opinion would the value of this be significant enough to have it certified, khj? In your opinion would the value of this be significant enough to have it certified? If it is only localized non-inking, the cost of getting it certified would likely be more than the retail value of the stamp. If an entire color was missing, or entire design element missing, then you would have a good premium. But that's just my opinion. Others should feel free to chime in, or you should feel free to get other opinions, as I am not an expert. Because Unitrade does list printing freaks, the retail value of Canadian freaks is significantly higher than US freaks (Scott only assigns minor catalog numbers to major errors, ignoring modern printing freaks completely). I respect your opinion and it is in line with what I have read as well. I am unlikely to try to sell it anyway and would rather make it part of a specialized page or pages devoted to the forever Liberty Bell definitives. Thank you for your input. But basically, it is a dollar or two stamp. Had the color shifted across the stamp perforations, then we're looking at maybe $10+.